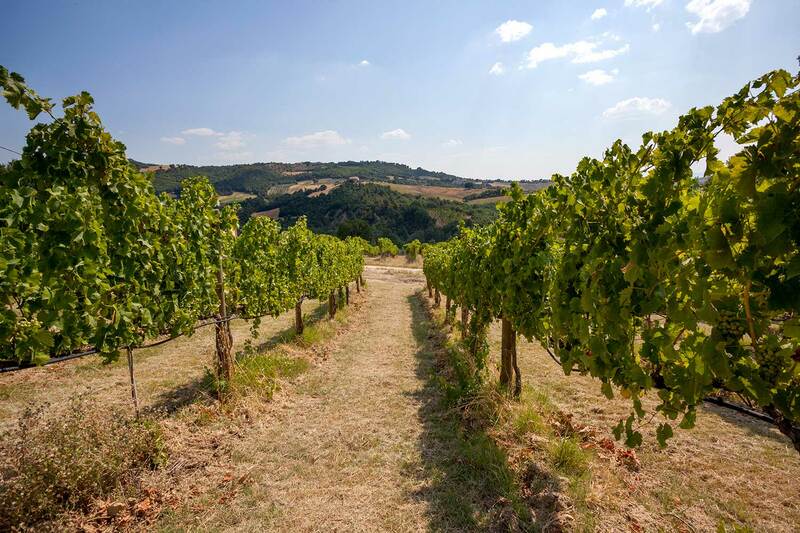 Our healthy, luxuriant vineyard is situated within a small well defined terroir where it is possible to grow grapes for the production of IGT Umbria denominations (both red and white), DOC Montefalco Rosso and DOCG Montefalco Sagrantino. 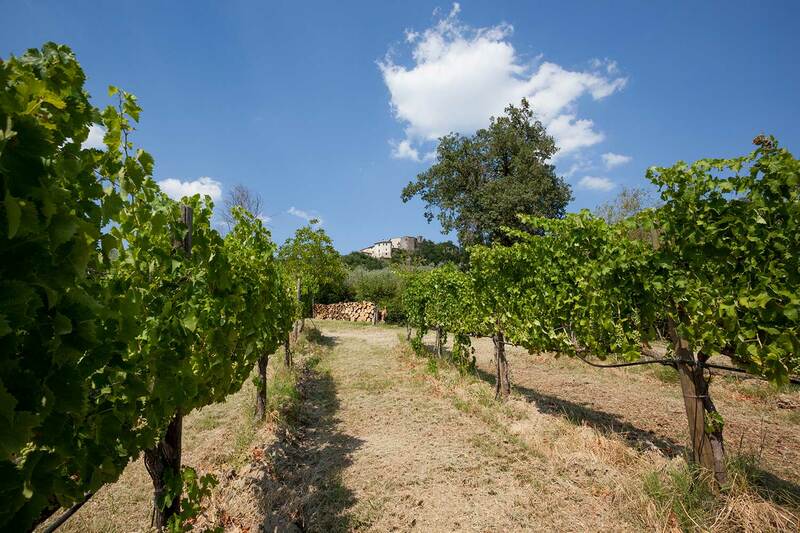 The atmospheric ecosystem where the vines are cultivated is set in about two hectares. It is located in a homogeneous and unique micro territory. The soil is rich in minerals and balanced proportions of clay, silt and sand, which give a good drainage and at the same time more than adequate nutrition for the vines. 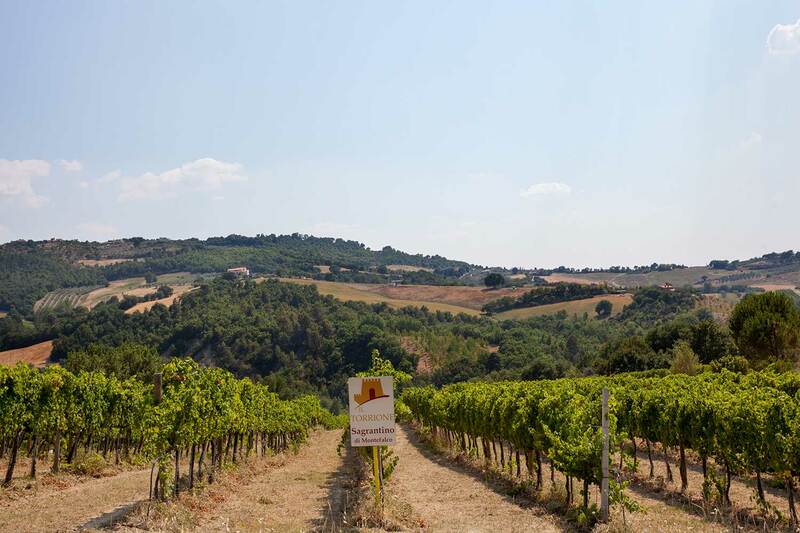 The vineyard is at an altitude of 350m asl and is made up of Sagrantino, Sangiovese, Merlot and Trebbiano Spoletino grape varieties. The exposure is to the southwest and the vines are trained using the cordon spur system. The vines are carefully pruned to ensure that only a small number of the best bunches ripen fully, which helps to guarantee a higher quality of wine. All pruning, canopy management and grape harvesting is done entirely by hand.